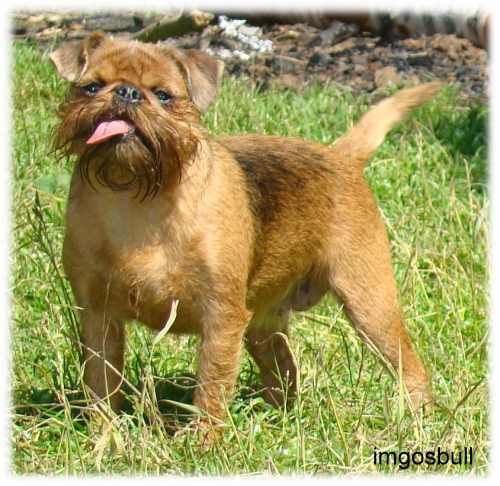 The Brussels Griffon is known for the almost human expression on his face. 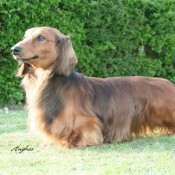 He is highly intelligent and sensitive. 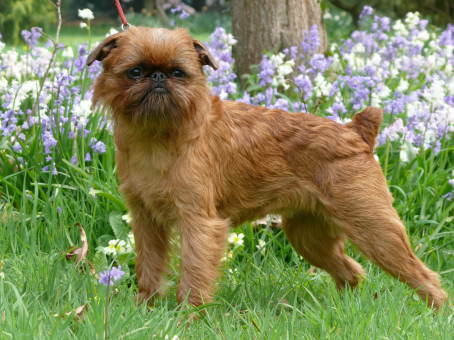 Even though he requires the protections need by any toy breed, the Brussels Griffon is a total companion, bright and alert. If he feels threatened, he kicks up a big fuss. 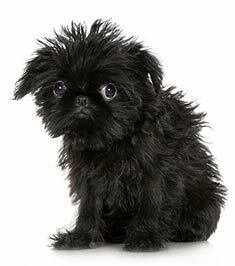 Personality plus is the first impression you will receive when meeting a Griffon. 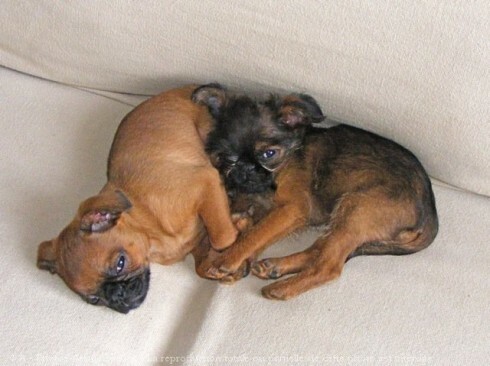 The Brussels Griffon makes lasting friends with whom ever he knows. 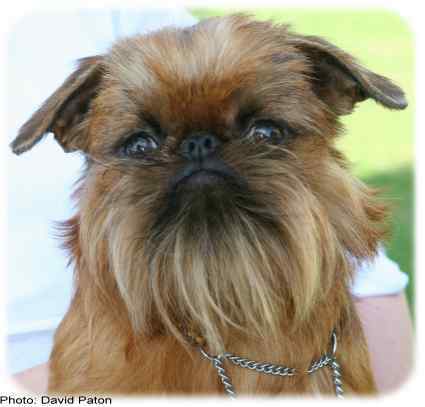 So you want to own a Brussels Griffon? 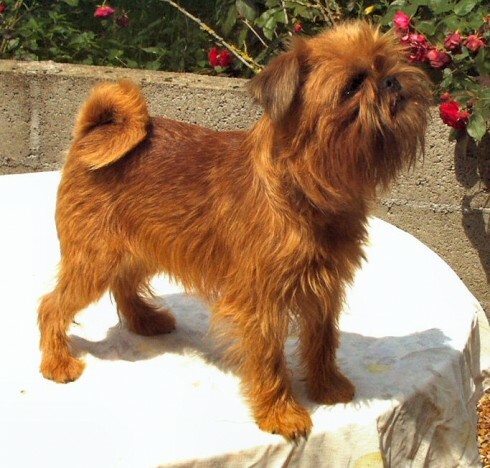 The Brussels Griffon's coat can be either rough or smooth. 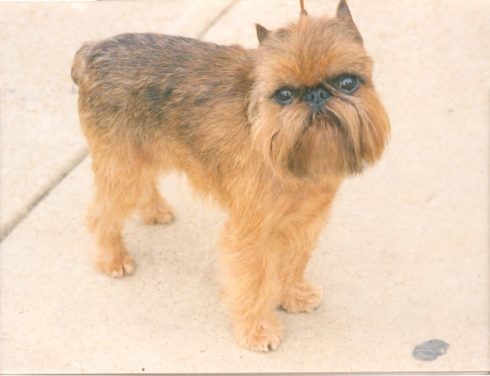 The rough coat is wirey and dense, the smooth coat is straight, short, and glossy. 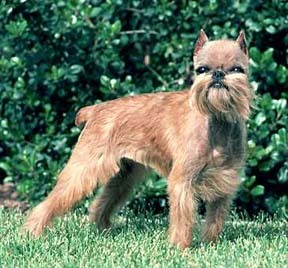 The Brussels Griffon is alert and full of self-importance. Head large in comparison to body, rounded but in no way domed, wide between the ears. Hair on skull, in roughs rather coarse. Nose always black, as short as possible with large open nostrils, high set sloping back to skull with deep stop between nose and skull. Wide muzzle, neat lips, with good turn-up. 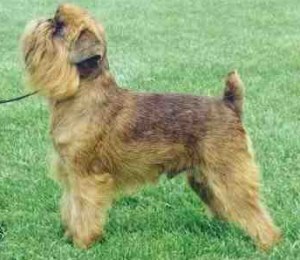 Chin prominent, in roughs furnished with beard. 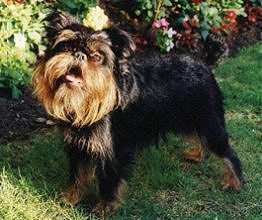 Black-rimmed, very dark, large, round, clear and alert. Customarily docked. Docked: Docked short, high set, emerging at right angles from level topline. Undocked: High set, emerging at right angles from level topline. Of moderate length, curved gently over back when moving. Roughs: harsh, wiry, free from curl, preferably with undercoat. Smooths: short and tight. 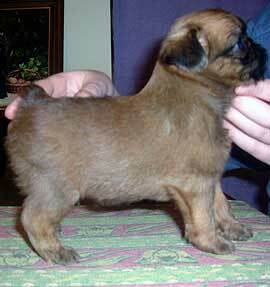 From 2.3-5 kgs (5-11 lbs); most desirable 2.7-4.5 kgs (6-10 lbs).